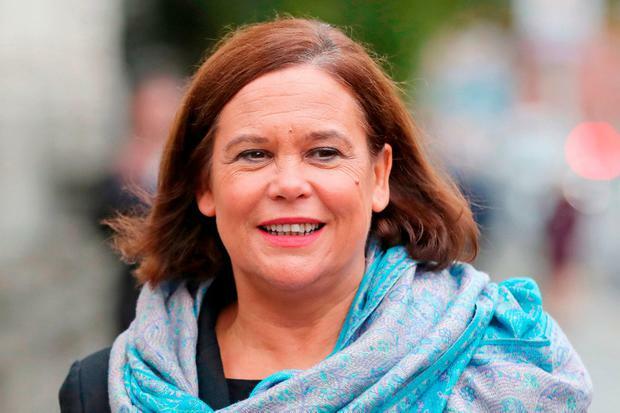 Sinn Féin leader Mary Lou McDonald says her party has “no business” in Westminster – but that hasn’t stopped MPs claiming €4.5m in expenses since 2010. Ms McDonald has again defended Sinn Féin’s policy of abstentionism at a time when Brexit poses a massive threat to the island of Ireland. The party has seven MPs who continue to claim money for accommodation, staff, travel and office expenses. However, they do not attend the House of Commons’ debates or votes. Ms McDonald said there was no move to change this policy because “in any event, we have no business in the British parliament”. She argued the seven seats would have been immaterial in the vote on Prime Minister Theresa May’s Brexit deal. “The British parliament is constituted and operates to protect British interests. That’s an entirely legitimate position from their point of vote. Westminster has never done any favours for Ireland, nor will it,” she told RTÉ radio. Among those to claim expenses from Westminster during his time there was former Sinn Féin leader Gerry Adams. Fine Gael senator Neale Richmond told the Irish Independent that Sinn Féin is failing to adequately represent voters at a crucial time. He said the party was “quite happy to draw expenses from and host lavish receptions in Westminster, but for the first time in centuries there is no Irish vote in Westminster”. “It would be far more useful to have Sinn Féin actually speaking and voting in Westminster rather than holding press conferences outside,” Mr Richmond said. Ms McDonald said her party had made its voice heard over the past two years “in the corridors of power right across Europe”. She said representatives have talked to European leaders.